This is a step-by-step, video tutorial for installing VPN on your iOS device. Open the AppStore on your iOS device. Search for OpenVPN Connect and install it. Step Two — Download our VPN config files on your iOS device. Here you can see all your VPN services. Select an active one to proceed. Click on “OpenVPN” button under VPN Protocols. This will open the OpenVPN Config generator. You can find the OpenVPN config generator in the “OpenVPN” tab under “VPN Protocols”. Download the “.ovpn” files by clicking on the download button. You can select the server location and the protocol you want to use: UDP or TCP. Select the location you want to connect to and click on the download button. We recommend downloading multiple locations. Select the Open in “OpenVPN” option. 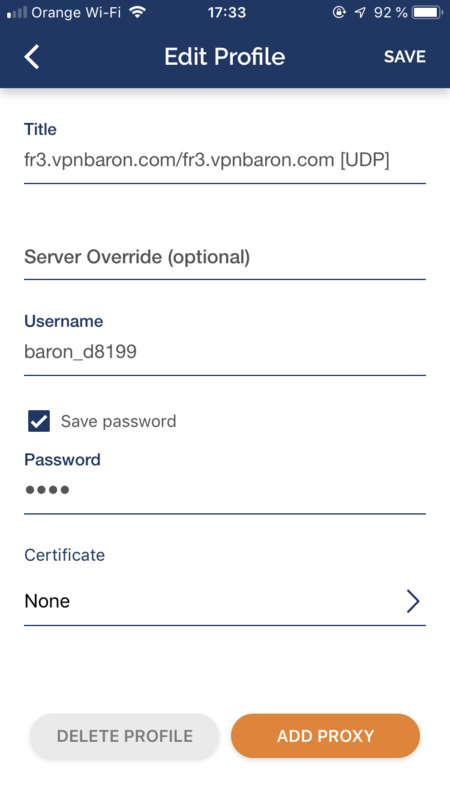 Select “Save password” to store the vpn password in the phone. Select add and switch the toggle to connect. After adding your username and password, click on the toggle bar to connect to VPN. 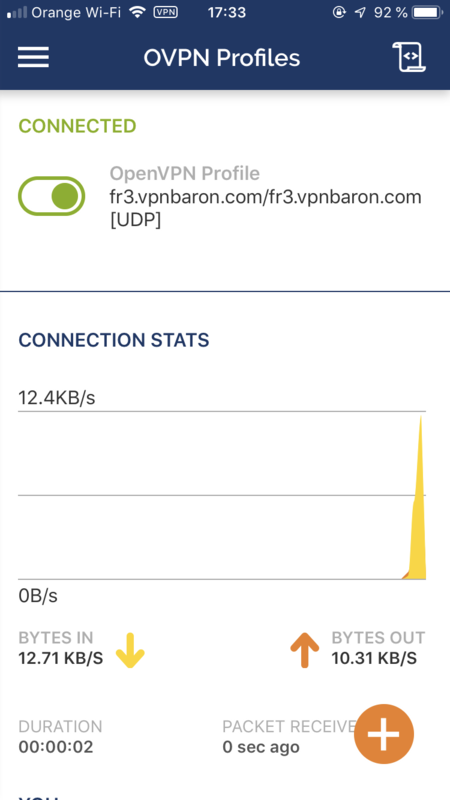 Once the OpenVPN is setup, you can easily connect to VPN. Feel free to add as many vpn locations as you need. 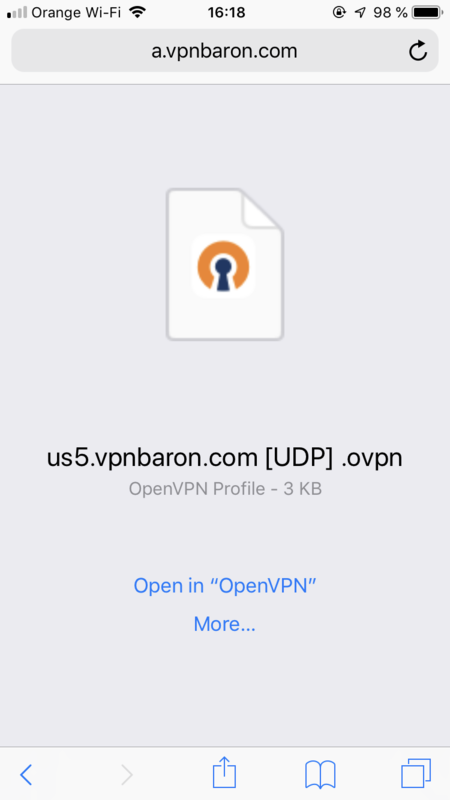 OpenVPN is just one way of connecting your iOS device to VPN. If you’re having issues connecting, open a support ticket and one of our guys will assist you.